Hilde Eide er professor i klinisk kommunikasjon og helseveiledning og daglig leder og forskningsleder ved Vitensenteret helse og Teknologi i Drammen. Emneansvarlig ph.d. kurs i "The Science and Practice of Person-centred Research"
Published over 70 scientific papers in peer-reviewed journals – and coauthored textbooks. “ePain - Living well with chronic pain: using person-centered e-health design to support self-management” (NRC1.12017 – 31.12. 2020, 19 MNOK, researcher and mentor 20%) PI Lise Solberg Nes, Senter for Samhandlingsforskning og pasientmedvirkning OUS/UIO. “Implementation of welfare technology. Digital surveillance in municipalities and its impact on innovation of services and organisation”. Innovasjonsprosjekt ledet av Risør kommune og finansiert av de regionale forskningsfondene, Agder, Oslofjord og Hovedstad (6 MNOK). Fra 1.4 2014 –31.3 2017. 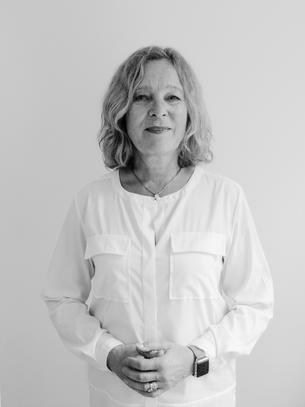 Project leader Etty Nilsen. Solheim E, Plathe H, Eide H. V Nursing students’ evaluation of a new feedback and reflection tool used during high-fidelity simulation in the formative assessment of clinical skills–A descriptive quantitative research design. Nurse Educ Pract. 2017 Nov;27:114-120. doi: 10.1016/j.nepr.2017.08.021. Hafskjold L, Sundling V, van Dulmen S, Eide H. The use of supportive communication when responding to older people’s emotional distress in home care – An observational study. BMC-Nursing, 2017 May 16;16:24. doi: 10.1186/s12912-017-0220-8. eCollection 2017..
Brembo, Espen Andreas, Heidi Kapstad, Sandra Van Dulmen, Hilde Eide. Role of self-efficacy and social support in short-term recovery after total hip replacement. A prospective cohort study. BMC Health and quality of life outcomes, 2017 Apr 11;15(1):68. doi: 10.1186/s12955-017-0649-1..
Nilsen E, Dugstad J, Eide H, Gullslett M, Eide T. Exploring resistance to implementation of welfare technology in municipal healthcare services – a longitudinal case study. BMC Health Services Research, 2016, 15;16(1):657. Hafskjold L, Eide T, Holmstrøm IK, Sundling V, van Dulmen S, Eide H. Older persons’ worries expressed during home care visits: Exploring the content of cues and concerns identified by the Verona coding definitions of emotional sequence. Patient Education and Counseling 2016;99(12):1955-1963. doi: 10.1016/j.pec.2016.07.015. Gahre Fjeld K, Eide H, Mowe M, Hove L., Willumsen T. Dental Hygiene Registration (DHR); development, validity- and reliability testing of an assessment scale designed for caregivers in institutions. Journal of Clinical Nursing, 2016 Jun 21. doi: 10.1111/jocn.13452. Eide H, Leren L, Sørebø Ø. The Norwegian versions of the Chronic Pain Acceptance Questionnaire CPAQ20 and CPAQ-8 – reliability and validation studies. 2016 Journal of disability and rehabilitation. Sundler , A. J., Eide, H., van Dulmen, S., Holmstöm,I.K. Communicative Challenges in the Home Care of Older Persons – A Qualitative Exploration. Journal of Advanced Nursing 2016 Oct;72(10):2435-44. Espen Andreas Brembo, Heidi Kapstad, Tom Eide, Lukas Månsson, Sandra Van Dulmen, Hilde Eide. Patient information and emotional needs across the hip osteoarthritis treatment and care continuum: a qualitative study. BMC Health Services Research. 2016, Mar 12;16:88. doi: 10.1186/s12913-016-1342-5. Eide, Tom, Sandra van Dulmen, Hilde Eide. Educating for ethical leadership through web-based coaching. Nursing Ethics, 2016 23(8):851-865. doi: 10.1177/0969733015584399. Epub 2016 Aug 3. Nes A, Eide H, Kristjansdottir O, van Dulmen S. Web-based, self-management enhancing interventions with e-diaries and personalized feedback for persons with chronic illness; a tale of three studies. Patient education and Counseling, 2013, 93(3):451-8. doi: 10.1016/j.pec.2013.01.022. Epub 2013 Feb 21. Kristjansdottir O, Fors EA, Eide E, Finset A, van Dulmen S., Stensrud TL, Wigers S, H Eide H A smartphone-based intervention with diaries and therapist-feedback to reduce catastrophizing and increase functioning in women with chronic widespread pain: randomized controlled trial. J Med Internet Res. 2013 Jan 7;15(1):e5. doi: 10.2196/jmir.2249. Nes A, van Dulmen S, Eide E, Finset A, Steen I, Eide H. The development and feasibility of a web-based intervention with diaries and situational feedback via smartphone to support self-management in patients with diabetes type 2. Diabetes Research and Clinical practice 2012, 97,3:385-393. Zimmermann C, Del Piccolo L, Bensing J, Bergvik S, De Haes H, Eide H, Fletcher I, Goss C, Humphries G, Kim Y-M, Langewitz W, Meeuwesen L, Nuebling M, Rimondini M, Salmon P, Wissow L, Zandbelt L, van Dulmen S, Finset A. Coding Patient Cues and Concerns in Medical Consultations: The Verona Coding Definitions of Emotional Sequences (VR-CoDES).). Patient education and counselling, 2011, 82, 2: 141-148. B. McCormack, S. van Dulmen, H. Eide, K. Skovdahl & T. Eide (Eds). Person-centred Healthcare Research. B. . London: Wiley Blackwell, 2017. Eide, Hilde; Nes, Andrea, Eide, Tom: Smertemestring og behandling via internet. I Fors E & Stiles T (reds.) Smertepsykologi. Oslo: Universitetsforlaget, 2017.